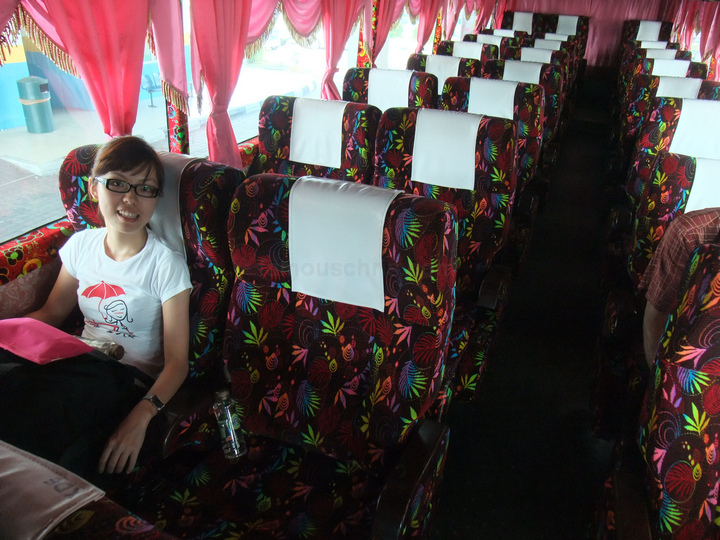 02.56 pm – Thanks Shawn Chin, for dropping Vivian and I to Penang’s Sungai Nibong Express Bus Terminal for our trip down to KL. 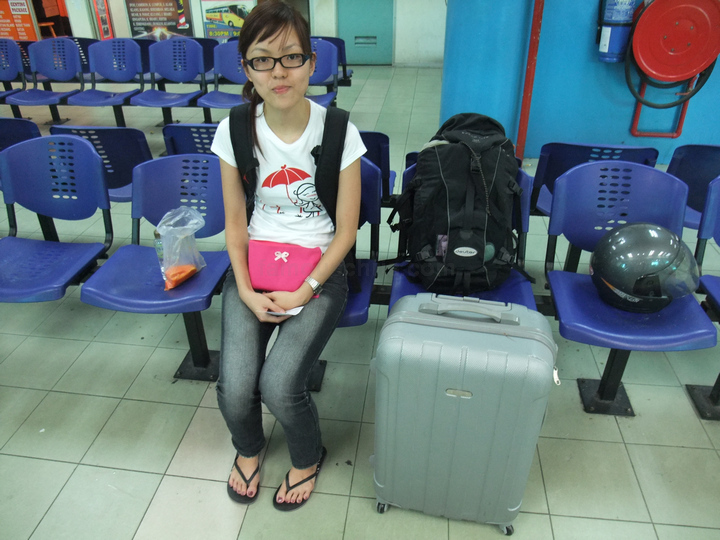 03.08 pm – Arrived at counter no. 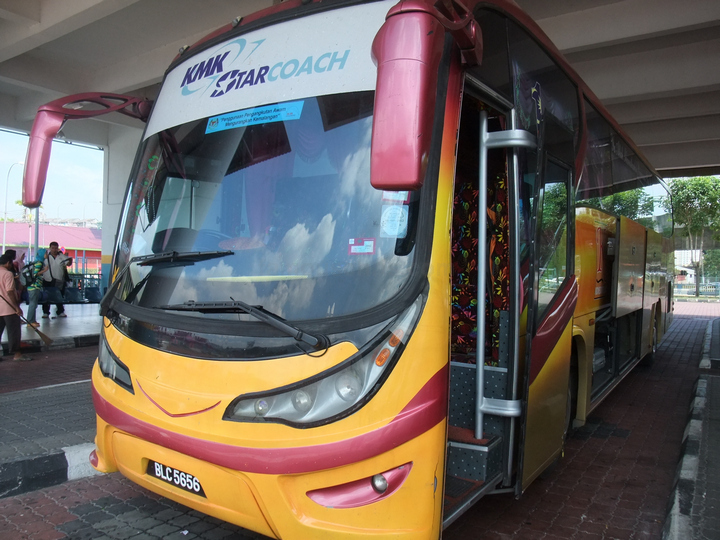 28 which belonged to Gunung Raya Ekspress to obtain the bus number plate. I like the idea that you could conveniently catch a bus from Penang to KL Sentral and then from KL Sentral take a bus to LCCT. Sometimes, it’s better than taking a flight. 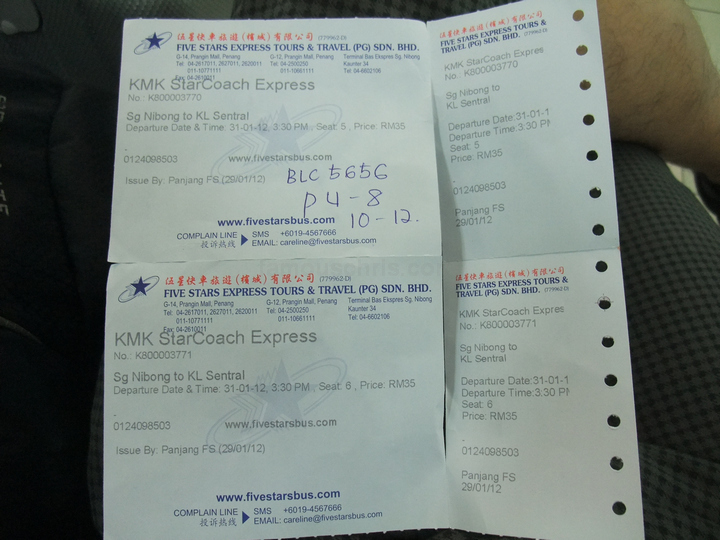 Moreover, the price is fixed and as of 2012, a bus ride from Penang to KL costs RM35. We brought as light as possible with 1 backpack and 1 hand luggage each. 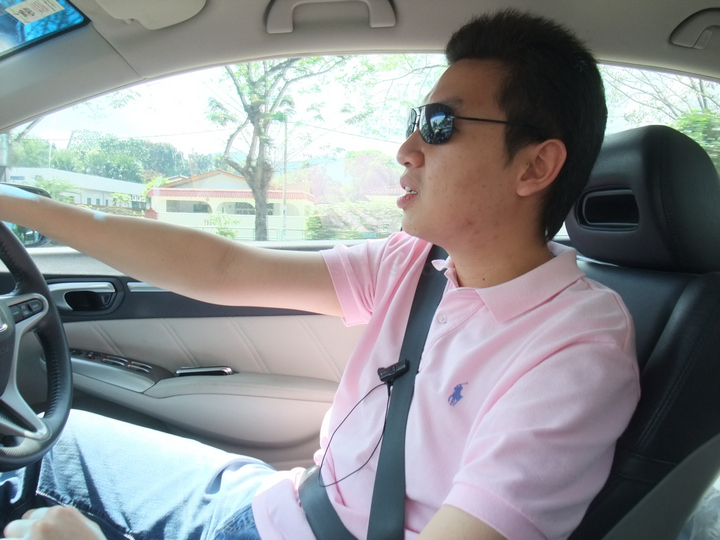 03.25 pm – As 31st January 2012 was a normal working day, the comfortable 26 seater bus was relatively empty. 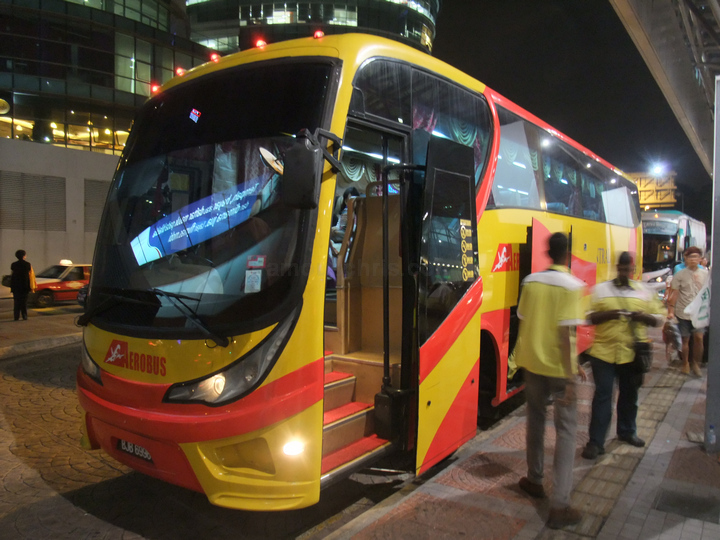 08.43 pm – Fast forward 5 hours later, we arrived directly in front of KL Sentral where Aerobus, the hourly bus that travels the 45min KL Sentral-LCCT route for RM9, departs. How convenient! 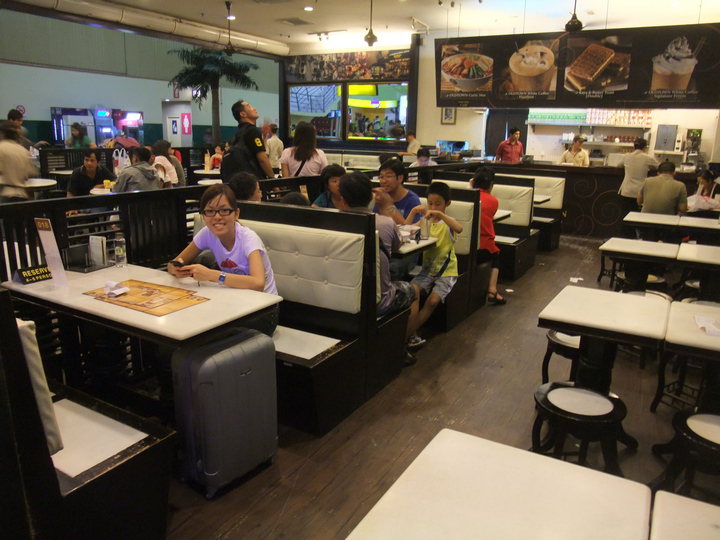 09.52pm – Ate dinner at the usual Old Town cafe in LCCT upon arriving. 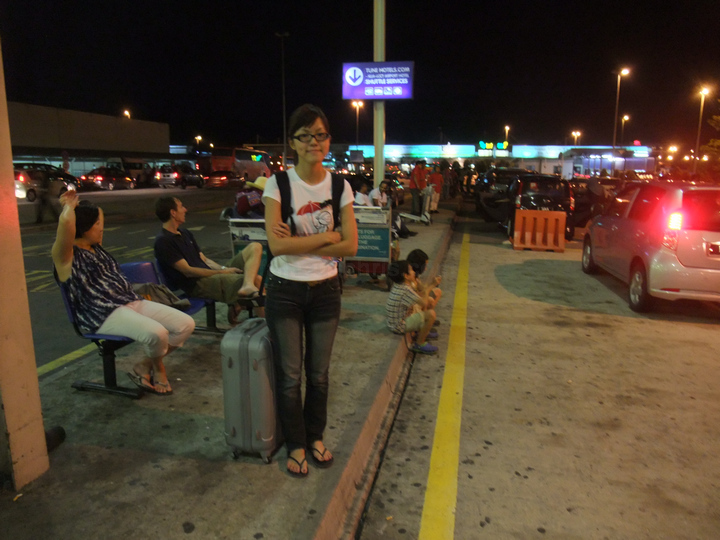 10.25 pm – Waited for the Tune Hotels minivan in front of the bus stop outside domestic arrivals. 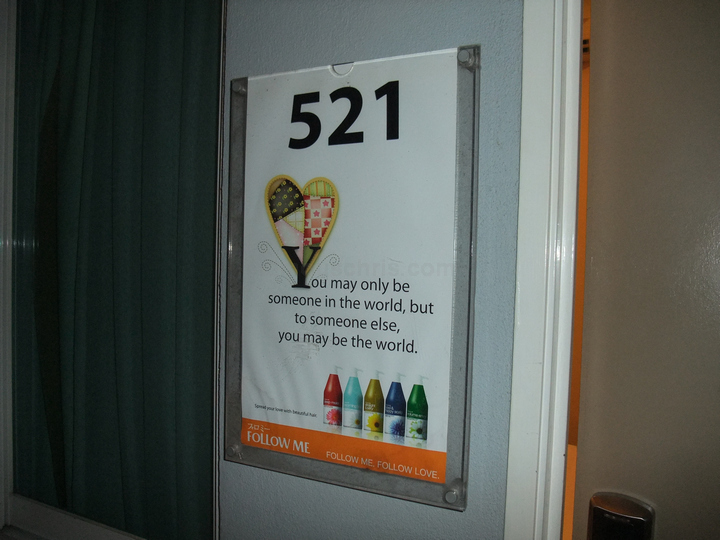 10.59 pm – Arrived and checked in to room 521. Unpacked, showered, and reorganized our junk. Read up on our itineraries before resting. We were so excited that our journey to India has finally arrived after more than 10 months of waiting! weeEEEeeee!! !